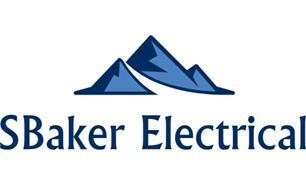 SBaker Electrical - Electrician based in Dursley, Gloucestershire. Welcome to my page, my name is Stuart, I set up SBaker Electrical in January 2018. I've been in the electrical industry for 11 years, with 8 years of hands on experience and recently 3 years project managing multi million pound projects for a leading national electrical contractors. With both my hands on experience and project managing experience you can rest assured that your project, whether small or large will be in safe hands! I have a wealth of knowledge in traditional electrical works such as new lighting and power points and also vast experience with modern electrical works with automated tech such as hive systems, controlling lights/sockets through phones and bespoke lighting systems. I can offer a great insight into possibilities at quotation stage and more than happy to spend time ensuring your design comes to life. I can undertake all domestic, commercial and industrial works both single and three phase. Primarily Gloucestershire and surrounding counties but open to discussion on projects further afield or national contracts.